Get some historical perspective at Shrine of Remembrance and St. Patrick's Cathedral. Appreciate the collections at Melbourne Museum and National Gallery of Victoria. You'll find plenty of places to visit near Melbourne: Yea (Y Water Discovery Centre & Yea Wetlands), Werribee Open Range Zoo (in Werribee) and Ballarat (Sovereign Hill & Ballarat Wildlife Park). Spend the 23rd (Sun) wandering through the wild on a nature and wildlife tour. Dedicate the 22nd (Tue) to wine at some of the top wineries in the area. 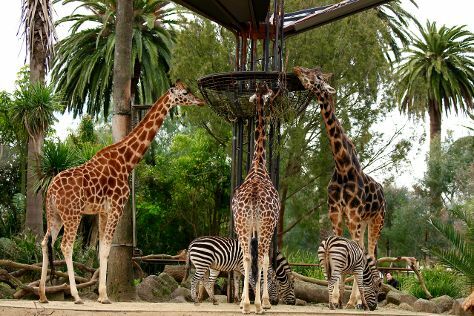 There's much more to do: admire nature's wide array of creatures at Melbourne Zoo, kick back and relax at Half Moon Bay, look for all kinds of wild species at Moonlit Sanctuary Wildlife Conservation Park, and tour the pleasant surroundings at St. Kilda Beach. To find ratings, traveler tips, reviews, and tourist information, you can read our Melbourne trip itinerary builder website . In December, daytime highs in Melbourne are 30°C, while nighttime lows are 14°C. Finish your sightseeing early on the 1st (Fri) so you can travel back home.